With the help of non-profits and social workers, 2 1/2 years later Russell has traveled from Knoxville to Long Island to Detroit to find unique stories of persevering women. He has accomplished exactly that. 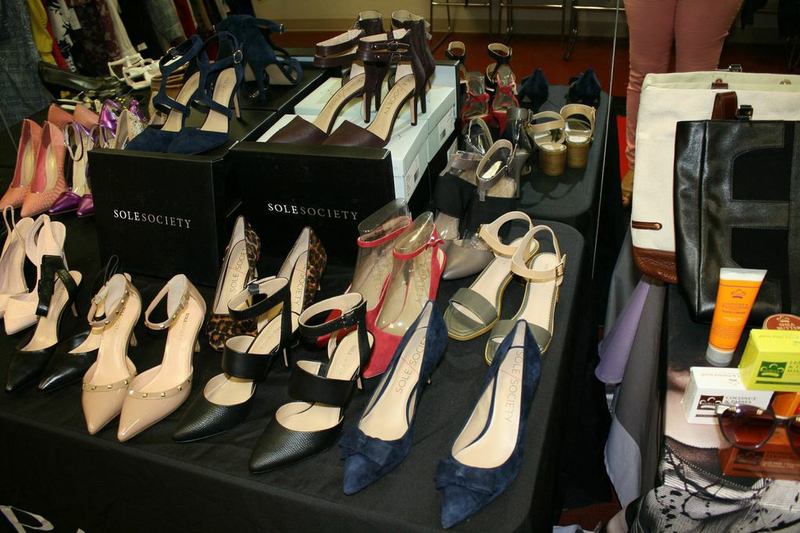 The Giving Closet celebrated its 9th give-away in Detroit in March 2014. Russell did a Google search and found Alison Vaughn at Jackets for Jobs. At the time, he was prepping size 16 clothes. Russell made a request to Alison, “If she is a size 16 and has good energy, I want to hear her story.” Alison noted a woman who entered her non-profit and fit the bill. “It was extremely easy to select Angela,” says Russell. “She has been out of work for over a year and recently moved in her sick mother to care for her. With four kids ranging from ages 8 to 17—all of whom are on the honor roll—I felt that Angela should be celebrated. So many people are counting on her despite the harsh economic challenges of living in Detroit. 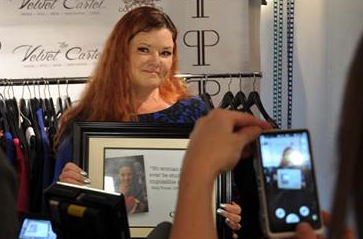 By keeping her kids off the street and in study groups, she has not failed them.” In 2012, the 5th Giving Closet recipient, two-time cancer survivor Christine Pechera, was surprised by a new wardrobe and paid internship with noted Hollywood producers Alex Kurtzman and Roberto Orci. The goal of the Giving Closet is to prove that fashion does have a heart. In that, Russell has succeeded. He is quick to note that his goodwill mission would not be possible without the generous support of many designers. 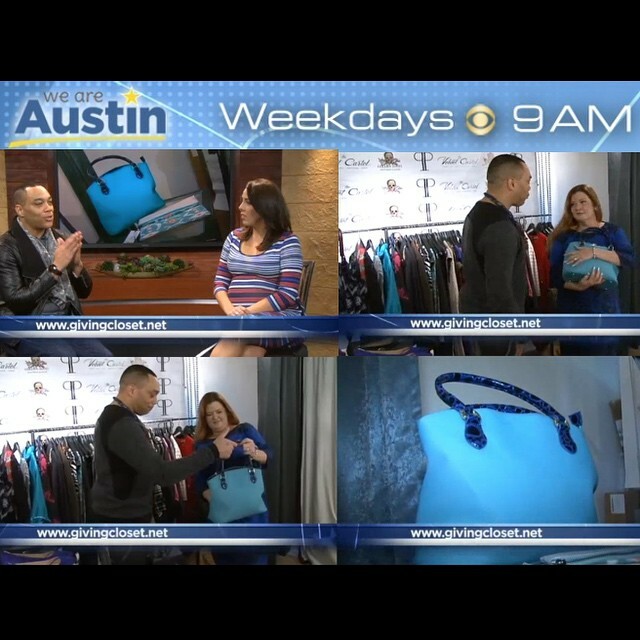 Adrianna Papell, Sienna Rose, Sole Society Shoes and Meridian 110 Handbags are just a few who share Russell’s vision. Recipients are given the star treatment, with each and every outfit chosen specifically for them. If you’re looking for that next rung up on the ladder, Sam Russell is looking for you.